Whaling could continue in the southern ocean if Japan’s new proposal meets international standards. 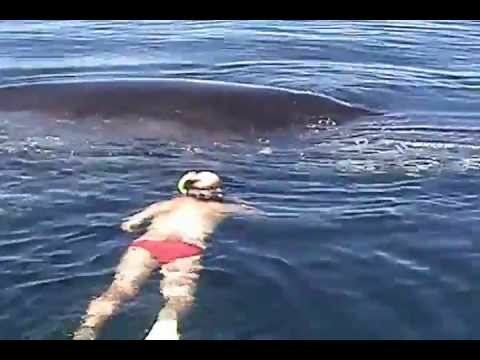 Michael Fishback, co-founder of Earth Island Institute's Great Whale Conservancy frees a young humpack whale from tangled fishing nets in the Sea of Cortez on Valentine's Day, 2011. After spending hours to untangle and cut the nets, the whale shows amazing appreciation with a spectacular aerial show for Michael's friends and family on the boat.